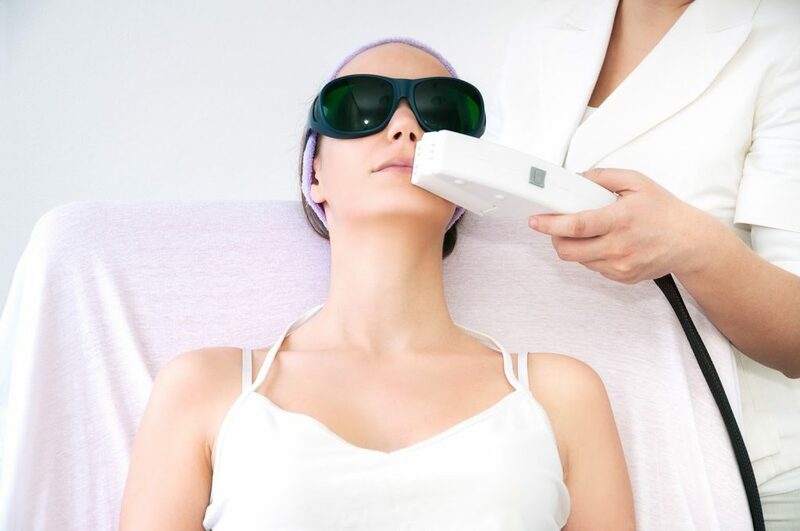 Bottom Line: If you’re using Red Light Therapy to treat skin, most reviews seem to be positive, while the negative reviews tend to complain about the device as opposed to the treatment itself. 2. History of the Therapy Brand: How Did Red Light Therapy Start? 6. Who’s It Is For? 21. Verdict: Would I Recommend Red Light Therapy? 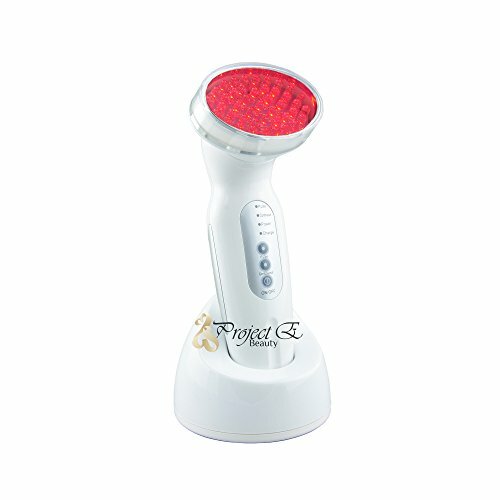 Red Light Therapy is a much-used technique to replenish aging skin and is beneficial in other ways too. Faster recovery of damaged tissue and anti-aging effects are only a couple of many claims. This being said there are also questions and concerns regarding this therapy so we thought a closer look may be in order. 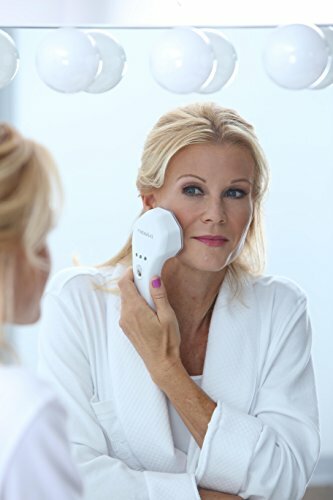 It seems a bit far-fetched to think that you can improve your skin condition Central by using a light. By analyzing the science behind this procedure are experts tried to determine the effectiveness and safety of this technology. Here are their findings. The technical term for red light therapy is photobiomodulation or PBM. It’s also known as light box therapy, photonic stimulation, or low-level light therapy. Regarded as an alternative medicine it is applied as a low level (low power) laser or light-emitting diodes (LESs) directly to the skin. There are claims that low-power lasers enhance cell function and ease the pain. 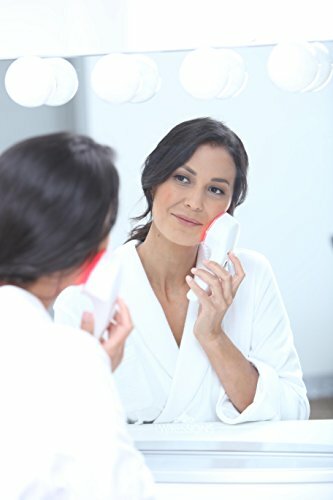 Red light therapy (RLT) is a therapeutic technique that uses red low-level wavelengths of light to treat skin issues, such as wrinkles, scars, and persistent wounds, and even weight loss. A Hungarian physician and surgeon named Endre Mester are said to be the discoverer of the biological effects of low-level lasers. This happened a few years after the invention of the ruby laser in 1960 and the invention of the helium-neon(HeNe) laser in 1961. While trying to repeat an experiment proving that a low-level laser could reduce tumors in mice, Mester accidentally found out that the low-level Ruby laser could regrow hair. The laser that he used failed to have the effect he had anticipated. The laser itself was faulty and did not perform with the power of expectation. However, Mester took notice of the area of hair he had shaven on the mice for the laser experiment. On those mice, the hair grew back at a faster rate than on the mice that he had treated with placebo therapy. Mester published his findings along with recorded studies in 1967. Mester furthered his research and went on to prove that low-level HeNe light could speed up the recovery of wound healing in mice. In the 1970’s He began using his science and discoveries to treat skin ulcers on humans with low-level laser light. 1974, Mester founder The Laser Research Center located in Budapest at The Semmelweis Medical University where he continued his work for the course of his life. Masters’ children stayed to carry on his work and later shared his work and studies with the United States. By the late 80’s there were companies in laser sales that made claims stating that lasers could heal sports injuries, treat pain and arthritis etc. Unfortunately, there was little to no findings to support their claims. To date, Red Light Therapy has been implemented to treat a variety of different medical issues such as Tuberculosis, muscular disorders, assistance with healing wounds, quitting smoking, even muscle, and joint pain. All the while, with little to no evidence to support its effectiveness. Laser Biostimulation was the original reference used by Mester for these procedures. Later to become known as Low-Level Laser Therapy also known today as Red Light Therapy. Red light beds found at salons are said to help reduce cosmetic skin issues, like stretch marks and wrinkles. You should consult with your doctor about the pros and cons of Red Light Therapy. A surgeon and physician from Hungaria named Endre Mester are said to be the discoverer of how low-level laser affects one biologically. This took place several years after the ruby lasers conception in 1960 and the invention of the helium-neon(HeNe) laser in 1961. While trying to repeat an experiment proving that a low-level laser could reduce tumors in mice, Mester accidentally found out that the low-level Ruby laser light could regrow hair. The laser that he used failed to have the effect he had anticipated. The laser itself was flawed and did not perform with the power of expectation. However, Mester took notice of the area of hair he had shaven on the mice for the laser experiment. On those mice, the regrowth of the hair was faster than on the mice that he had treated with placebo therapy. Mester furthered his research and then later proved that the low-level HeNe light could allow for faster recovery in mice healing from wounds. In the 1970’s He began using his science and discoveries to treat skin ulcers on humans with low-level laser light. Persons with any of the below conditions could benefit. Red Light Therapy is sometimes used to relieve pain and inflammation. While Red Light Therapy is considered safe and harmless, it is important to use responsibly. 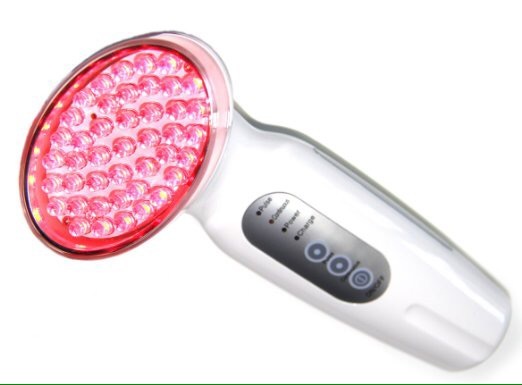 There have been reports of burns or blisters due to negligence while using Red Light Therapy. In addition, you should always use proper eye protection to avoid damage to the eyes. Though Red Light Therapy is FDA approved for a list of uses, it is still not covered. It is highly beneficial for the skin to reduce eczema, rosacea, and acne. A lot of the published studies on red light therapy results are negative which could be possible because of an inappropriate choice of light source and dosage. It may also be due to lack of appropriate preparation of the patient’s skin before application of the treatment, such as: not cleaning makeup and oily debris, which can interfere with the penetration of the light source, and failure to account for skin pigmentation. The makers of low-power lasers often state that products like red light therapy pad and red light therapy bed, among others, do further improve cellular function, as well as relieve pain. Red light therapy also is said to speed up the healing of tissue in a natural way by increasing blood flow to the affected area. It’s said to reduce wrinkles by stimulating collagen and also treat inflammation. The connection between red light therapy and weight loss has always been controversial. Even though the mechanics of what takes place during red light therapy as it relates to weight loss has not been clearly explained, one theory is that it affects fat-storing cells called adipocytes which cause the lipids (fat cells) to simply wash away. Because of the lack of clearly defined data, the aspect of weight loss as related to red light therapy is often overlooked. A 2012 study in the International Journal of Endocrinology suggested that red light could affect your appetite. It may even reduce hunger there for reducing the fat intake into the body. This study showed that the therapy May help control levels of the hunger-related hormone called leptin that is found in participants that are sleep deprived. Studies suggest that red light therapy has minimal side effects. The possibility that this therapy is effective in fat loss can be added to the list of its many benefits. A photochemical effect occurs during red light therapy. One of the primary mechanisms of the action occurs in the mitochondria. The two most important factors in the therapy are the distance from the cellular tissue, and length of time in which it is applied (normally 30 to 60 Seconds). While analgesia is best achieved with A continuous being Pulses are more effective in improving tissue repair and anti-inflammatory effect. The site of injury to promote healing, remodeling and reduce inflammation. Trigger points to reduce tenderness and relax contracted muscle fibers. Lymph nodes to reduce edema and inflammation. Typical therapy times range from 30 seconds to 1 minute. In simple cases, as little as one point may be treated. As many as 10 to 15 points may be treated in more complicated cases such as radiculopathy or cervical lumbar. Covering only a few spots is simple. Covering larger areas can become very time-consuming, especially 30 to 60 seconds at a time. Red therapy light or photobiomodulation is not designed to increase perspiration or improve cardiovascular function. Whether or not it works is still highly debated. Some studies suggest that red light therapy may be slightly effective, though its results on all fronts are usually modest at best. Most often it was no more effective than placebo in easing short-term pain of osteoarthritis, acute and chronic neck pain, rheumatoid arthritis, tendinopathy, and possibly chronic joint disorders. Many studies that are published on Red Light Therapy are not positive about its claims, but this may be due to wrong dosage amount and light source choices. Poor preparation of the patient’s skin before treatment could also be a cause. 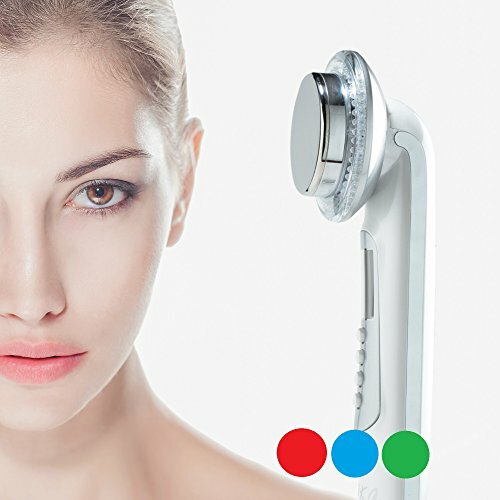 Not washing oily debris, or thoroughly removing makeup can affect the lights ability to penetrate, which will have a negative effect on the treatment. Not maintaining equipment properly can also lead to poor performance, and have a negative effect on the desired result as well. Really did not work for me. 5.0 out of 5 starsIt really works. I can see a difference in elasticity of my facial skin. I use it every other day like suggested. It takes a long time though. Red Light Therapy has no known side effects. It is necessary to the laser away from your eyes, but otherwise, the FDA has deemed it safe. This therapy is offered By dermatologists and salons also offer red light therapy, for its ability to rejuvenate skin and alleviate pain. The red light treatment is done on a red therapy pad and UV free red therapy bed. Red light therapy does appear to be safe to use. Although Red light therapy seems safe. The main concerns are ocular. As previously stated it is necessary to be sure to keep the laser away from your eyes. It is important to adhere to red light therapy instructions, some of which we will cover here. Manufacturers are required to include the ‘nominal ocular hazard distance’ (NOHD) in the red light therapy instructions. Keep laser pointed away from the eyes and always wear proper eye protection. Keep laser clear of any known areas affected by skin cancer. If a patient is undergoing chemotherapy, red light therapy may be used to treat side effects such as mucositis. This therapy can also be used for palliative relief in terminally ill patients, with a doctor’s consent. For no other reason than lack of testing, red light therapy shouldn’t be used directly over the fetus but is perfectly safe to treat back pain in pregnant women. As a direct treatment to the thyroid may temporarily inhibit its activity it’s suggested to stay away from that area as well. Direct treatment of tattoos may cause pain due to the ink heating from the laser. You’ll probably want to steer clear of tattooed areas. Be mindful that this treatment may be painful when applied to the head and neck areas. Mainly because the melanin in the hair follicles absorbs laser energy easily. It’s not uncommon for heat to be more pronounced in darker skinned individuals. Epileptic and photosensitive patients should be aware of low pulse visible light may bring on a seizure. Diets are not a factor with this procedure. 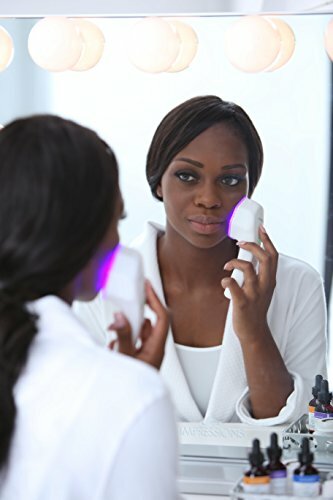 There is another light therapy known as blue light therapy, but it’s mainly used to treat acne, depression, and skin cancer. It’s not used for weight loss, pain relief, or other conditions treated with red light therapy. For this reason, blue light therapy cannot be thought of as an alternative to red light therapy. That being said, there’s really no effective alternatives to red light therapy. 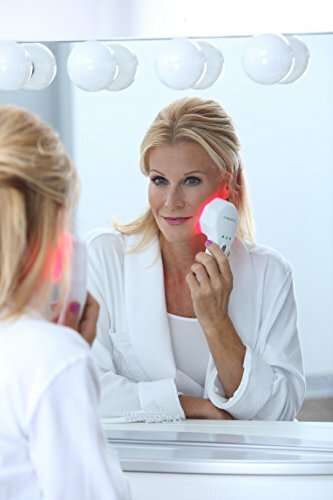 If you are really bothered by your wrinkles and are frequently going to Dermatology treatments, then yes purchasing a red light therapy device would be more affordable for you. Some of the devices start as low as $50. Now for the Moment of Truth. Do we believe that red light therapy is a product that we can recommend? We do like the fact that it is available in many salons and spas, and they did is approved by the FDA. That being said, if you are really interested in losing some weight we suggest a program backed by actual science, and has been proven through numerous testimonials to be effective. If you’re absolutely adamant about giving it a try, I get it. To be fair, there are tons of positive feedbacks on their site, and there’ve been countless celebrities swearing by this tea. And while they don’t offer a free trial that I’m aware of, or a money back guarantee, there is a 20% sale on their site.